The Hollywood Reporter has a special issue looking at ‘The Future of Film‘, which to a large extent is also about the future of cinema. Lots of rich pickings, including Carolyn Giardina looking at Barco’s three-screen Escape and what lies beyond it. Movie screens will continue to morph into ever-wider configurations as well, predicts The Fraunhofer Institute for Integrated Circuits, a German research firm. “There will be more panorama screens; it’s already happening in Germany,” says Siegfried Foessel, who oversees the company’s moving-picture technologies department, which is developing a 360-degree camera system that was used to shoot the final of the FIFA World Cup in Brazil. That footage will be shown in a special 360-degree OmniCam theater installation planned for the FIFA World Football Museum in Zurich. Meanwhile, startup Jaunt is developing a 360-degree camera for use in virtual reality. Elsewhere in the issue four ‘experts’ are asked where moviegoing will be ten years hence. The wonderfully out-there Faith Popcorn is the one we can resist quoting. Movie theaters are dying. As consumers hide out in their at-home binge-cocoons, devouring entire seasons of HBO and Netflix programming, theater owners will partner with hotels to create binge retreats. These will be fab private dens you can rent for a few hours or days to binge-watch whatever you like. It’ll be all about decadence: Food will be catered and gourmet. Mixologists, masseuses and manicurists will be on-call. People will be unplugging from home and work, and plugging in to entertainment, fantasy and luxury. China (PRC) – As if RealD wasn’t having a bad enough week with Vue announcing that it was switching to Sony Digital Cinema 3D (see yesterday’s Daily), its Asian 3D nemesis MasterImage is now coming for them all legal patent guns blazing. MasterImage 3D, a worldwide leader in 3D display technologies for digital cinema, took action to challenge the validity of RealD’s utility model (UM) patent in China, filing an invalidation before the State Intellectual Property Office on August 22, 2014. 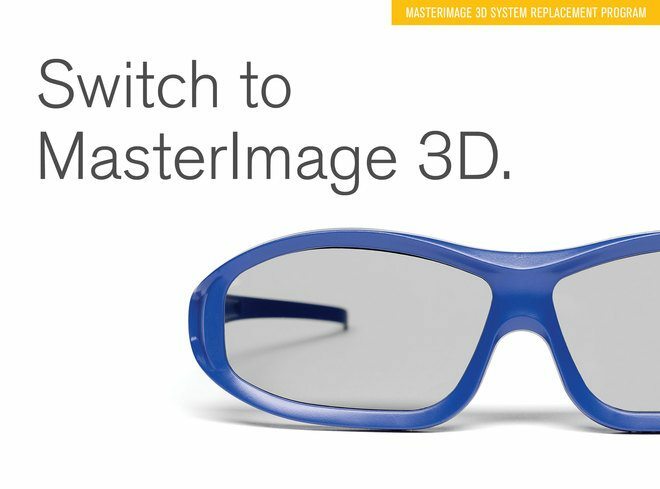 MasterImage 3D specifically argues that RealD’s utility model patent blatantly lacks novelty over MasterImage 3D’s earlier filed patent applications and over RealD’s older patents disclosed several years prior in the United States. U.A.E. – Cinema advertising spend is up significantly in the largest cinema market in the Gulf. 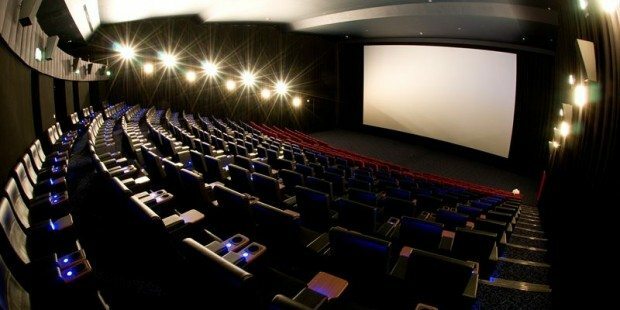 The amount spent on advertising in cinemas across the UAE has surged 31 per cent during the first half of 2014 compared to the same period last year, according to figures quoted by cinema advertiser Motivate Val Morgan. The rise in cinema ad spend was mainly driven by the increasing number of moviegoers in the country, the report by Statex, a part of global market research firm Ipsos, said. 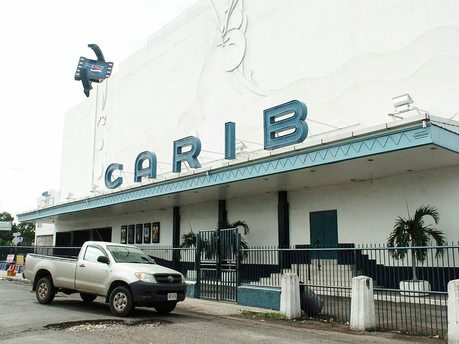 Jamaica – The operator of the Caribbean island’s largest cinema swung from profit to loss in the most recently concluded financial year. Cinema operator Palace Amusement Company has made a loss of $12.2 million for the year ended June 30, 2014, a near 188 per cent fall-off from the previous year, amid falling sales and rising administrative expenses. Palace made net profit of $13.95 million in 2013. Earnings per share was negative $8.41 for the 2014 financial year, compared to a positive EPS of $9.83 for 2013. Iran – The exhibition market in Iran is on the mend after suffering under the previous cultural administration. There are 300 cinema and 80 more under construction in the country, that recently began offering free screenings to entice people back to the cinema. “The vibrancy in the box office receipts shows that Iranian cinema is recovering,” Hojjatollah Ayyubi told the Persian service of IRNA on Friday. 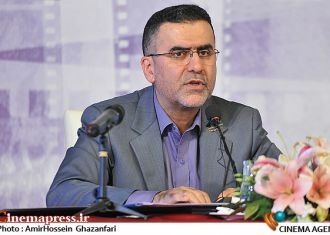 He said that the Iranian theaters earned 280 billion rials (about $9 million) over the past five months. UK – Who said Germans don’t have a sense of humor? They and others helped a bunch of funny old British pensioners rake it in from cinemas. USD $1.1 million per Python (including the dead one) is not bad for a one-off cinema outing. Picturehouse Entertainment’s live broadcast of the July 20 Monty Python Live (mostly) show has reached a worldwide box office figure of more than £4m ($6.6m) including encore showings, attracting an audience of more than 330,000 to 3,000 screens across 52 countries. There were more than 100,000 admissions recorded in North America with Picturehouse Entertainment working with all the major cinema circuits and the network of independent and not-for-profit venues. Canada – Cineplex is cleverly packaging and branding several exhibition-oriented event cinema screenings together this autumn. Matisse in a movie theatre? It’s happening this fall, as Cineplex’s new In the Gallery series provides a cinematic tour of some of the top international art exhibits from around the globe. 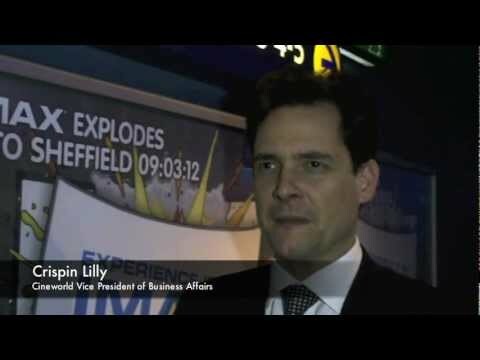 UK – Cineworld’s VP is going to be the new CEO of Everyman Cinemas. As you all know, I’m sure, art-house chain Everyman competes directly with Cineworld’s art-house division Picturehouse. Ouch! Everyman Media Group has appointed Crispin Lilly as chief executive. He will take up the position before the end of the year. He will take over from Andrew Myers who, as previously announced, is leaving the business. Ireland (Rep.) – Forget Secret Cinema, Underground Cinema is bringing back drive-in cinema to Dublin’s South Side this winter. Just in time for winter movie nights, the Drive In Cinema will take over the Ferry Terminal in Dun Laoghaire, Dublin. A cinema company has pulled out of talks over a potential move into Sleaford– blaming the town council for making its plans public. 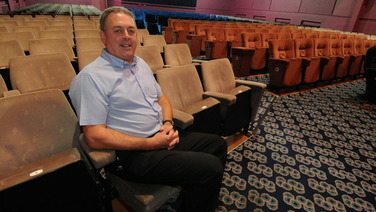 Regal Cinemas had approached Sleaford Town Council for help finding a potential location for a new cinema. 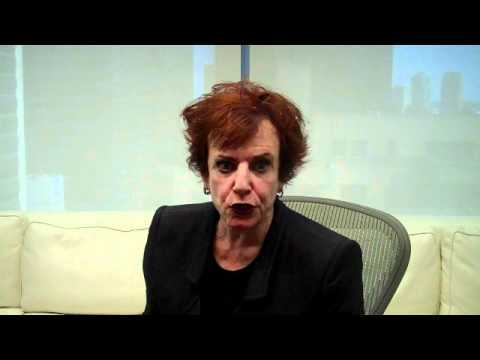 USA (MS) – Sounds like it will be a pretty luxurious multiplex. What’s described as a nine-screen “luxury” movie theater is planned for McComb. 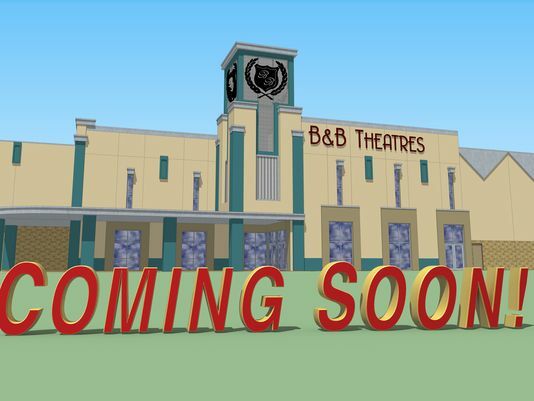 B&B Theatres said Tuesday it’s partnering with RBR Land Company LLC to build the theater as part of the McComb Crossing development, with the goal of opening the cinema in fall 2015. 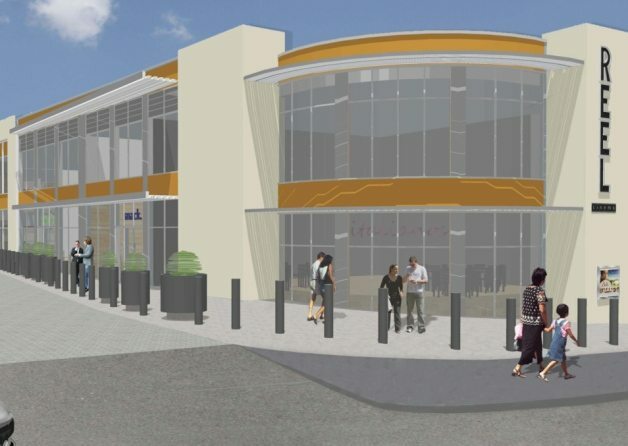 UK – The people of Grantham will soon have a chance to inspect the proposal for a six-screen multiplex. People can view the details of the proposed development in the Newton Room of the Guildhall Arts Centre from 12pm to 6pm on Friday, September 19. UK – Evidence that a well run independent cinema need not fear the opening of a multiplex nearby. 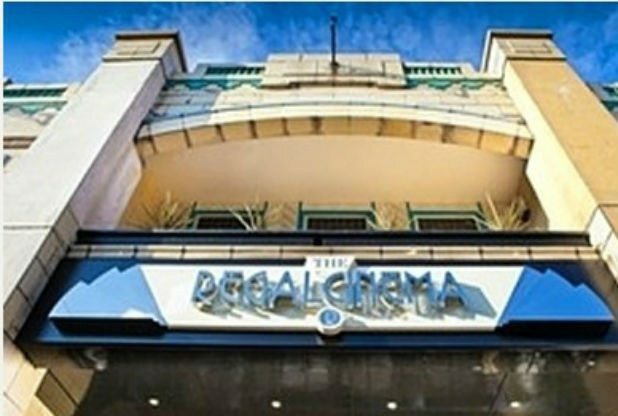 OWNERS of Barnsley’s independent cinema say they are not frightened by news that a nine screen multiplex is to be built at the Alhambra. Manager and co-owner of the Parkway, Rob Younger is confident the price structure and ‘intimate quality service’ offered at the Parkway will continue to attract movie lovers of all ages. 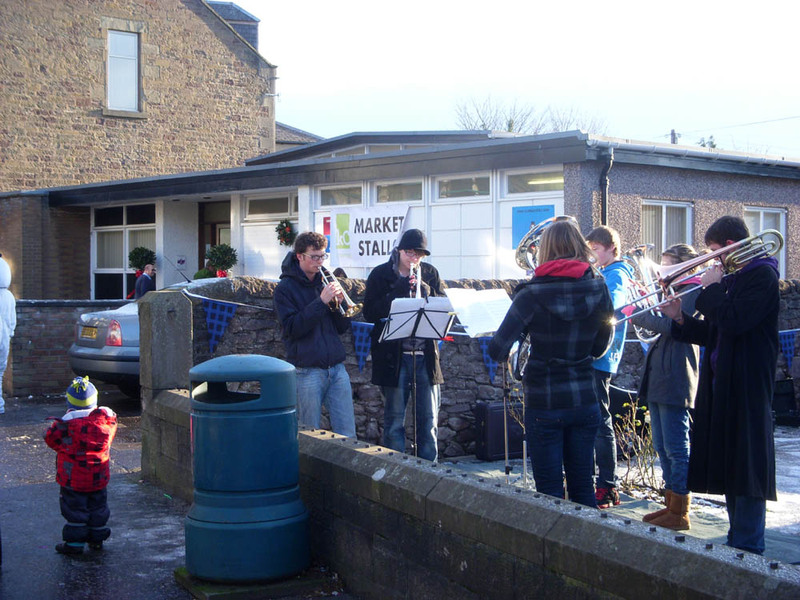 UK (Scotland) – Apparently it takes a village – to open a cinema. This one acknowledging our favourite swimming-pool-to-cinema conversions. The big screen vision is the latest addition to proposals for the planned Kinloch Centre, but those driving the project say it will take hard work and not an insignificant amount of money to deliver a cinema at the heart of the community hub. 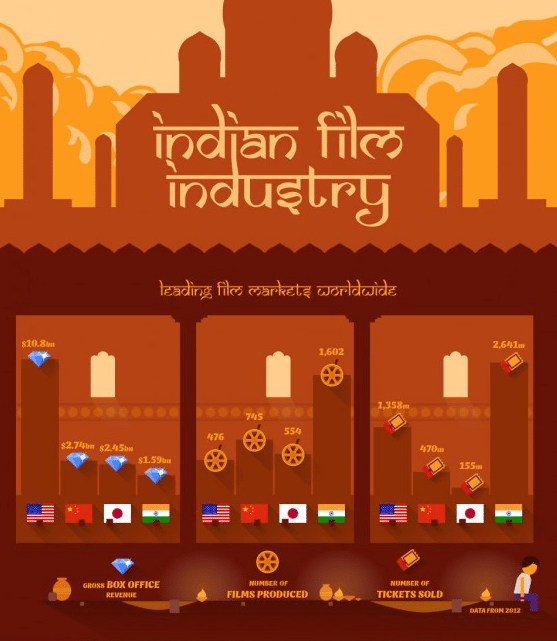 A cute and interesting tapestry of infographics about Bollywood-by-the-numbers from Forbes. We only have room to show you a small section of it, so be sure to check out the whole thing. We particularly like the SRK appeal pie chart. Amidst all the glamor and dazzle of Hollywood, people often forget about the world’s true movie capital – India. Firmly established in Mumbai, which was formerly known as Bombay (hence the Bollywood nickname), the Indian film industry is expected to grow to 138 billion Rupees by 2014 – that’s $2.28 billion. The numbers are certainly impressive – in terms of the number of films produced each year, Bollywood is firmly on top of the pile with 1,602 in 2012 alone. The U.S. churned out 476 films that year while the Chinese managed 745. In the same year, Hollywood sold 1.36 billion tickets compared to Bollywood’s whopping 2.6 billion. Indian films can’t match Hollywood in box office revenue, however. U.S. films grossed nearly $10.8 billion in 2012 compared to India’s meager $1.6 billion.